Radiation Oncology is the use of high energy beams produced by a machine to kill cancer cells in a specific location. Radiation works only in the areas to which the beam is directed and typically this is considered a local therapy. Examples of the use of radiation may include radiation therapy after limited breast surgery to prevent local relapse or its use in patients with limited but surgically unrespectable disease. Surgery may not be able to be performed on some tumors based on their location or whether or not they involve normal structures of organs (such as critical blood vessels) that cannot be removed. There are different types of radiation treatments, and this can sometimes be confusing in that the technology is rapidly advancing. Brachytherapy is use of localized radiation therapy using radioactive seeds or beads as well as temporary catheters which emit a dose of radiation to treat a local problem. Examples of cancers where this is commonly used include localized breast cancer, prostate cancer and cervical cancer. Stereotactic radiosurgery (STRS) is a technique where the radiation doctors use computers to pinpoint the location of the tumor and deliver much higher doses of radiation to the local tumor while giving less radiation to the surrounding normal tissue. There are a variety of other radiation therapy technologies and these can be addressed by your doctor. 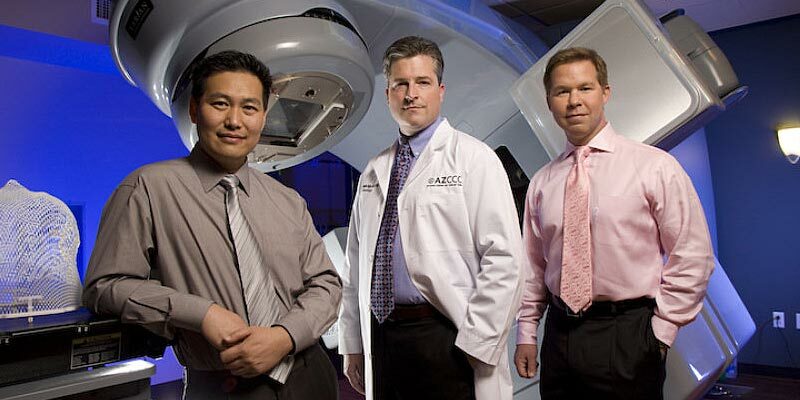 Please click here to learn more about our radiation oncologists.